"If Europe does not cooperate with Israel, it is punishing itself." 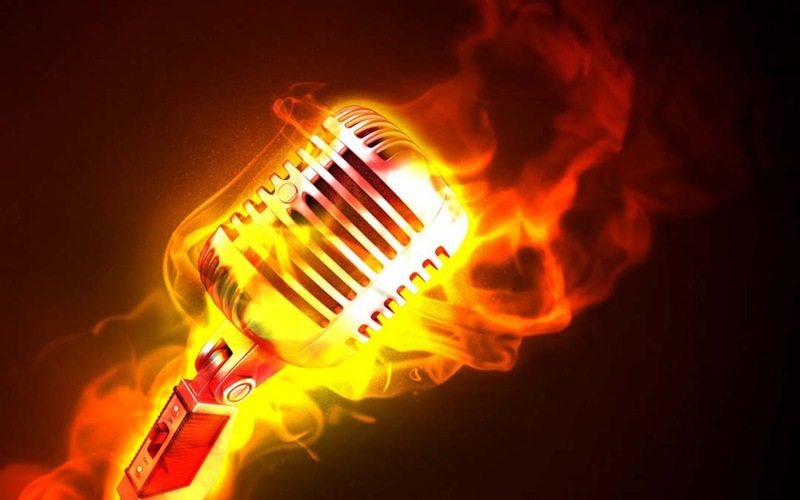 In the political world 'hot mic' moments are nothing new. Remember back to March 2012 when in Seoul, South Korea, Barack HUSSEIN Obama got caught in such a 'hot mic' moment when he told then outgoing Russian President Dmitry Medvedev that, "This is my last election. After my election I have more flexibility.” When that conversation was 'leaked' to the public the Obama controlled media circled the wagons to do damage control by claiming the exchange was just about domestic political concerns that both the U.S. and Russia had, and would find it difficult to fully address their long-standing differences over the “contentious” issue of missile defense. Now also remember back to the 2011 G20 Summit in Cannes when remarks between then French President Nicolas Sarkozy and Obama were inadvertently broadcast to reporters covering the Summit. Remember the French president saying he could not "bear" Israeli Prime Minister Benjamin Netanyahu after describing him as a “liar” to which Obama replied, "You may be sick of him, but me, I have to deal with him every day." Another 'hot mic' moment as neither man realized that mics for a scheduled press conference had already been switched on, allowing said reporters to hear their entire conversation. Well now another 'hot mic' moment of sorts is being reported on, but this time it involves the very man who many times is the brunt of such moments and who many, me included, consider the world's last great statesman, Israeli Prime Minister Benjamin Netanyahu himself. 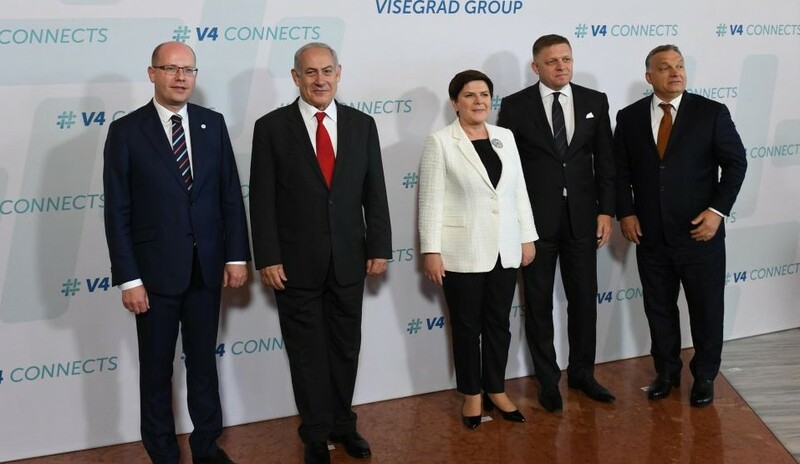 Mistakenly broadcast to reporters...or was it actually done on purpose...was a live conversation during a closed-door private meeting in Brussels with European leaders of the Visegard Four Group...as in Hungarian Prime Minister Viktor Orban (who has publicly called Netanyahu a “patriot”), Czech Republic Prime Minister Bohuslav Sobotka, Polish Prime Minister Beata Szydlo and Slovakian Prime Minister Robert Fico...prime ministers whose nationalist anti-immigration stances have increasingly put them at odds with the European Union and who Netanyahu has praised for supporting Israel "on several occasions" at European Union meetings. Of these prime ministers he asked to please communicate to their E.U. colleagues the importance of moving forward with the EU/Israel Association Agreement, an economic and trade agreement that has been 'frozen' since Operation Cast Lead (Israel's rightful 22-day offensive [December 27-January 18] against terrorists in the Gaza Strip) in 2008-2009. 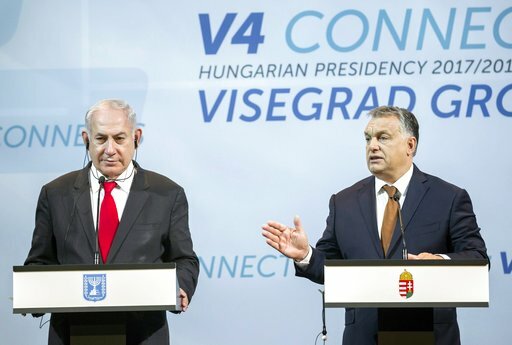 Also broadcast were Netanyahu's words sharply criticizing the European Union's constantly calling Israel an "anomaly" while calling on the E.U. 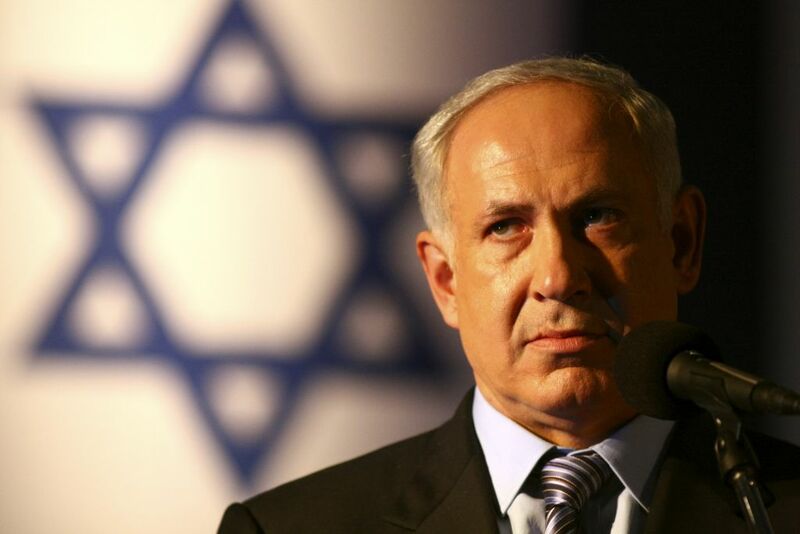 to reassess its relationship with the Jewish state; his words (rightfully) criticizing Obama and his policies; and where Netanyahu admitted to past Israeli strikes against Iranian-backed terrorists groups operating in the region. And while this was all happening Prime Minister Netanyahu was under the impression that the mic he was wearing had been turned off when in reality it was still activated...activated so his words could be readily heard by reporters gathered in a nearby room who were ever so hungrily waiting for his comments regarding the closed-door meeting. And with those words said know that Benjamin Netanyahu is right for while Europe is being invaded by an army of young muslim men...while Europe's women are being raped in record numbers...and while Europe's economy is collapsing under the weight of being forced to economically providing for these invaders...the European Union has clearly chosen the wrong side to align with. Now as for his words regarding the backstabbing Israel-hating Obama, Benjamin Netanyahu simply spoke the truth. Saying that because of Obama,''We had a big problem with the United States. It's different now. There's a renewed American presence in the region [Syria and the Middle East at large] and more bombings. That's positive,'' was his way of sending both his personal kudos to President Trump and to the way new Middle East strategy and policy was being set by the Trump White House. 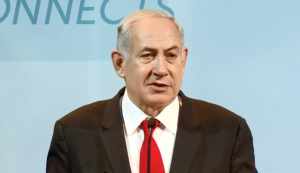 Also caught on 'hot mic' was Netanyahu's discussion about the threat Iran posed not only to Israel but to the world. Saying that he was deeply concerned that Iran was “entrenching its stronghold in the region” by providing “its proxies” military help...as in arms and munitions transfers...that can be used against the Jewish state, one must understand that Israel has every right to be concerned about Iran, especially with its support of and collaboration with Lebanon-based, Shi'ite terror group Hezbollah. ''I told Putin-- if we see Iran by our border passing weapon to Hezbollah, we'll take military action...we've done this [in the past] a dozen times,'' were Netanyahu's words broadcast for the reporters to hear...words regarding the numerous times Hezzbollah posed a direct threat to Israel's security. And while the connection to the reporters was immediately cut upon discovery the damage had already been done. But the question remains why does the European Union so hate the Jewish state...why? 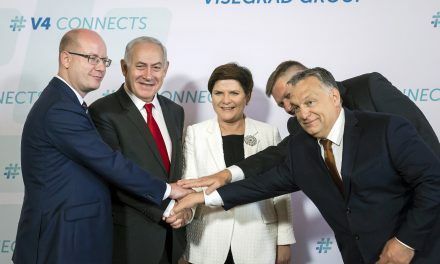 As per Benjamin Netanyahu himself, Israel is “often criticized by western Europe, often more than any other place in the world when Israel is a bastion of European and western values in the heart of a very dark place"...so why? The answer to that is two-fold. First, the European Union has sided with the 'so-called' but non-existent people known as the Palestinians against Israel. Constantly condemning both Israel's legal right to build and the actual building of Jewish settlements in the occupied West Bank, the E.U. has turned active anti-Zionism into active and growing anti-Semitism. And the E.U. refuses to see that their way of thinking...thinking that encompasses political correctness in the name of diversity to the nth degree...has not served them well for even their outward siding with their muslim invaders and their vocal and public condemning of Israel, has not stopped or even slowed the islamic invasion of Europe...in fact that invasion continues both unabated and actually welcomed as Europe's leaders see said diversity as more important than that which makes each European country both unique and individual amongst the collective whole. 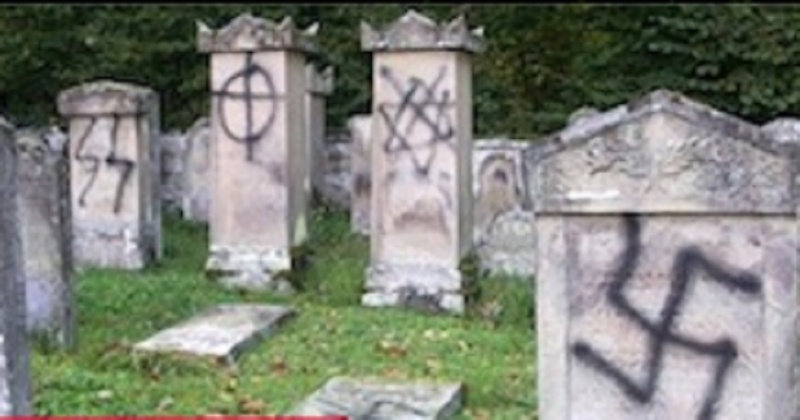 Second, there is a decidedly marked rise in anti-Semitism across many...but not all...countries of Europe. Europe’s complicity in the Holocaust and its tolerance for those who hate and envy the Jewish State has led to said rise of anti-Semitism...as in both crimes and sentiments...and it's being initiated and carried out not only by Europe's ever growing muslim population, but by both left and right-wing islamic condoning extremist sorts...haters of both the political and civilian kind...whose wish is to finish the job Hitler started. Jews are now being singled out, beaten, and murdered in the streets of Paris and other E.U. member cities; synagogues are being attacked and firebombed, and cemeteries are being desecrated, with the results being a sharp rise of Jewish emigration to both Israel (aliyah) and the U.S. as the number of attacks against and murders of Jews and their houses of worship coupled with an overall and growing anti-Semitic environment...including 'No-Jew' zones that allow for no visibility of what's called 'Jewish life'...shows no sign of abating. And those views are growing folks...growing fast as Europe falls to the very folks who truly wish them all dead. So what can Benjamin Netanyahu do to stop these views from turning into tangible actions taken...probably his best bet is to forge closer ties with those countries in the Visegard Four Group...as in the afore mentioned countries of Hungary, Poland, Slovakia, and the Czech Republic...countries that can help him defend Israel's interests and goals in the many international forums where they are routinely condemned. 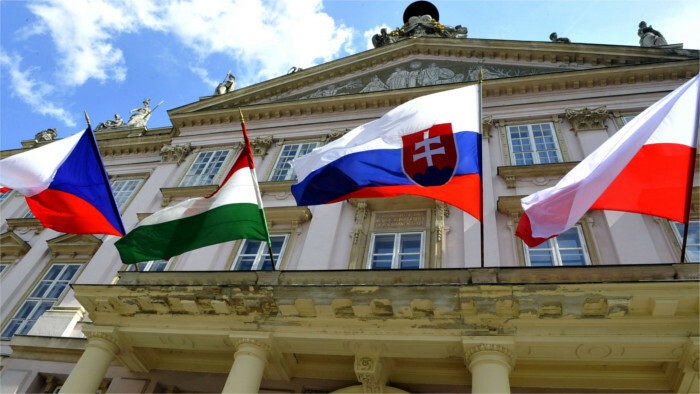 In fact, according to Middle East expert Peter Lintl, when being interviewed by the Austrian newspaper 'Kurier' stated that "With their backing, it will be harder for the EU to pass resolutions critical of Israel." And those words speak the simple truth that there is indeed strength in numbers for those four countries alone, out of all the countries of Europe, understand that nationalism is critical to keeping each European country's uniqueness, individuality, and cultural flavor in tact. “I think Europe has to decide if it wants to live and thrive or if it wants to shrivel and disappear...I am not very politically correct.” - more of Benjamin Netanyahu's words 'mistakenly' broadcast. So what will become of this probably deliberate 'hot mic' oh-so malicious moment...probably nothing for most of the liberal media shows and relishes in outright disdain for the Jewish State of Israel and they do so to almost the same degree as some members of the European Union hate Jews in general and Israel in specific. And so they will ignore the betrayal of Benjamin Netanyahu, one of the world's great leaders, claiming the words he spoke were nothing he has not said both privately and publicly before...meaning to them the betrayal done to Netanyahu is no big deal. And to that I say no truer words have ever been spoken. 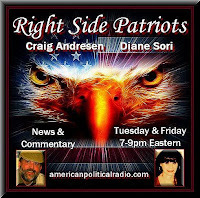 Today, Friday, July 21st from 7 to 9pm on American Political Radio, RIGHT SIDE PATRIOTS Craig Andresen and Diane Sori discuss Netanyahu's betrayal by the media, the truth about wind farms, and important news of the day.